The first match at TIO Stadium on Saturday saw the erratic and desperate Waratah up against the in-form giant killers the Tiwi Bombers. A big first quarter from Waratah saw them race to a three goal lead at the first break and from there they kept the Bombers at bay to eventually run out 19 point victors. It was a huge win for Waratah and a potentially costly loss for the Bombers. In the upset of the round, Wanderers downed the Buffaloes by 13 points despite having seven less scoring shots. To say that the Darwin Buffaloes kicked themselves out of the game is partly true but does not give credit to the desperation of a resurgent Wanderers. With two wins in their past three matches against finals hopefuls, Wanderers are making sure the season isn’t a waste and are keen to lose the wooden spoon. The Bombers last weekend to roll the Palmerston Magpies. The win almost secures the minor premiership for the Tigers. Almost. The Magpies are now in danger of missing the finals – a game behind the Bombers with two rounds left but with a dreadful percentage. They are not out of the race but they need to win both of their remaining games and by big margins to sneak in. For the Tigers, their 74 point win keeps them on top of the ladder. Southern Districts are still hoping to grab the minor premiership and had to defeat St Mary’s – which they did, emphatically. Their 46 point win sees their percentage remain better than the Tigers’ for and against which keeps the door open for a last gasp tilt at the minor premiership should the Tigers drop a game. 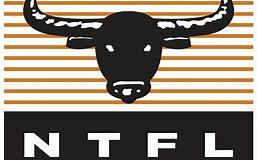 Next weekend, the Darwin Buffaloes meet the Tiwi Bombers in a huge match for both teams. The loser will likely pay heavily. The desperate St Mary’s take on an even more desperate Palmerston in a game the Magpies simply have to win to see finals action. Waratah needs to stay in the race and defeat Southern Districts to book a finals berth, but that is a tough task. On Sunday, Nightcliff will most Wanderers in a match they should win well and need to if they want to secure the minor premiership. It really is snakes and ladders.